I’d been licking my wounds just last weekend. It seemed like a lot—the long-distance caring for my mother with Alzheimer’s and my father with a host of physical problems. I’d driven three hours to their assisted living facility, spent 30 minutes helping them get into the car, and driven them another hour and a half to see my 94 year-old grandmother who had just lost her last living sibling. I’d watched my mother with her mother and her sister—all frail, their brains grasping through dementia symptoms—as they reminded each other of the tough-now-humorous times of their growing up years. I’d watched their tearful goodbye and then driven my parents the hour and a half back to their home, escorted them safely into their room, and tidied their clothes and calendar. Then I began the three-hour drive home to my own family of six as I cried and yelled at God: It’s too much! Then the next day came, and I learned that Satan had caught a loved one, ripped him right out of the life we’d thought he lived successfully, even glamorously. Ripped him right out of his sweet family and spit him across newspaper headlines and into a too-silent, too-empty jail cell where he tried to end it all. Twice. There were five days of panicked planning from long-distance—How to keep him safe? How to surround him with love? How to speak the truth of grace into his shattered soul? Was this God’s answer to my anger of the previous weekend, my sorrowful cry that it was all too much? I’m not strong enough for this. Turns out, that’s exactly what He was trying to tell me. He spoke just to me in a worship center packed with hundreds of people. He filled my overwhelmed mind and my broken heart with His truth. 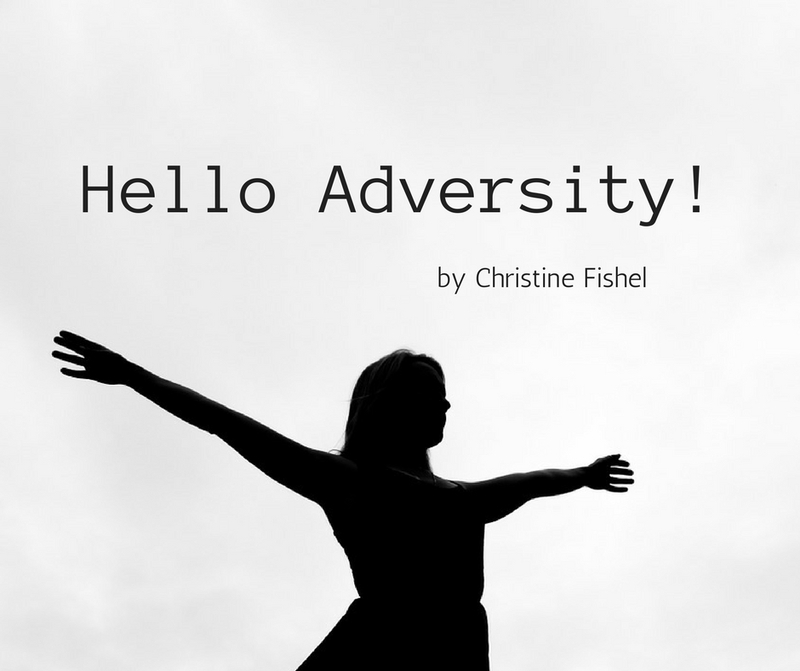 Hello adversity! Come. Let me embrace you. I know you thought I’d run from you, but I’m not afraid. I see the gift you are to me. You alone teach me that I cannot stand, and yet with Christ in me I can stand, firmly and confidently. Fearlessly. I consider our embrace pure joy (James 1:2). You bring a gift unknowingly—the gift of my God restoring me, making me strong, firm, steadfast. (1Peter 5:10) So come close, adversity. I will take you in my arms and hold on tight. I trust in the truth of my God.